Chiropractic clinics seek to present a professional and efficient image to their clients. 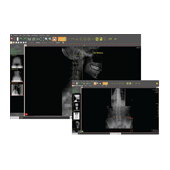 The Opal-CHIRO PACS solution for these clinics allows the patients’ x-rays to be quickly imported into the system, available for diagnosis much quicker than film. Thus the system also affords the clinic faster reads, reduced or eliminated film costs, and eliminates the need for physical storage space to archive film. 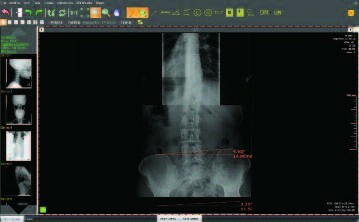 Specialized tools for the chiropractic market include a proprietary "Unsharp Masking" image refinement tool that enhances the quality of the X-Ray images. Also included are measurement and annotation tools, CD-burning archive capability, and DICOM sending features. 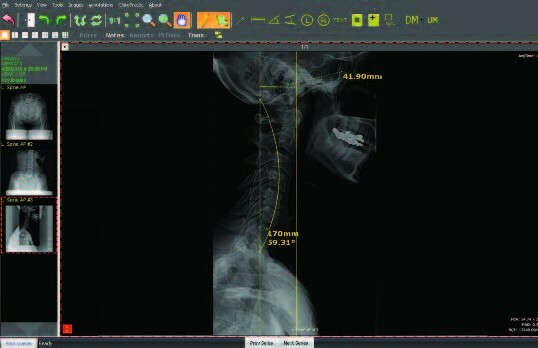 Chiropractic Tools currently integrated in to Opal-CHIRO PACS Diagnostic Viewer, assist in atlas orthogonal analysis by simplifying finding and calculations ofangles of correction. Opal-CHIRO PACS integrated chiropractic tools can significantly reduce necessary time to do atlas orthogonal analysis. Software contains a digital version of templates used for analysis. By using provided digital templates and additional tools, chiropractor can not only "draw" lines necessary for calculation, but also have all calculations done automatically without ever looking at the tables.